Gaietto, 14, said participants have eight minutes to complete the course and are graded on several criteria, including handling of the clutch and maneuvering ability. Gaietto said his grandfather has a farm, so he is able to practice getting comfortable with tractors and mowers. “Since I was little, I’ve backed up wagons,” he said. “I’m feeling pretty confident. This is not my first rodeo.” Fellow Hopewell-Loudon student Gaige Hess, 13, said he was competing for the fourth time. “It’s fun. You learn how to do new things with different equipment,” he said. Hess said he placed second in his first year and has recorded two other top-five finishes. “At home, I use a mower and wagon, it’s how I clean my cow pen. 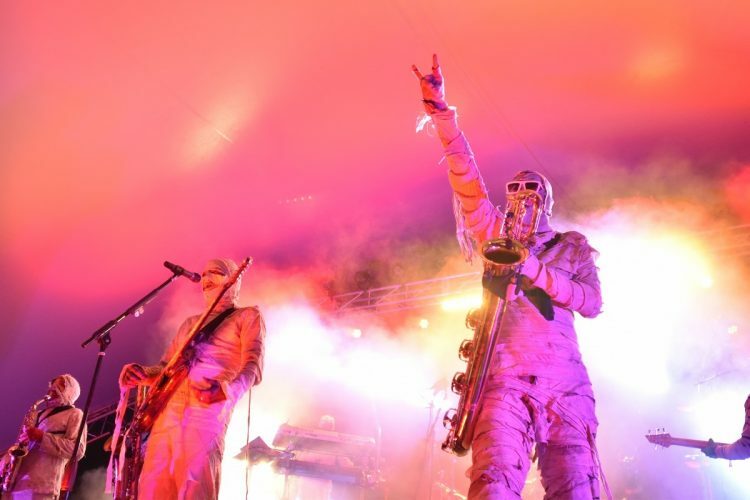 You learn how to back it up,” he said. Hess said the course can be challenging. “Some of the corners are tight,” he said. “I just like driving the equipment I don’t have at home.” Old Fort student Connor Fredritz, 11, who was competing for the second year, said he would come back and improve next year. 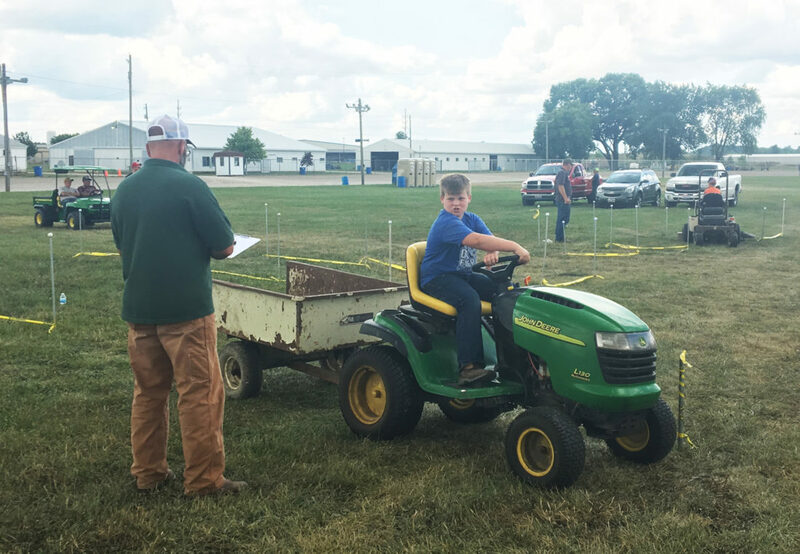 A group of youths operating farm equipment competed in a tractor-driving contest Friday afternoon at the Seneca County Fair. Organizer Adam Horner said he has been involved with the contest since about 1999. “Some things just happen,” he said of how he became organizer for the event. He said the competition is divided into three age groups: 11-and-younger, 12-15 and 16-and-older. Horner, who is from the McCutchenville area, said the older age group has more difficult equipment and different obstacles to maneuver. Horner said some participants were using machinery they are not familiar with while others had more experience. “You can set up the course in your backyard,” he said. Horner said his favorite part about the event is the volunteers who help put it on. “Without that help, we wouldn’t have this,” he said. Horner said students, parents and other volunteers were setting up the courses at 8 a.m. Friday, four hours before the competition. He said when participants struggle, judges, who include agriculture teachers and other volunteers, try to help them improve. Horner said some participants have developed rivalries. Hopewell-Loudon student Isaac Gaietto, 14, said participants have eight minutes to complete the course and are graded on several criteria, including handling of the clutch and maneuvering ability. Gaietto said his grandfather has a farm, so he is able to practice getting comfortable with tractors and mowers. Fellow Hopewell-Loudon student Gaige Hess, 13, said he was competing for the fourth time. “It’s fun. You learn how to do new things with different equipment,” he said. Hess said he placed second in his first year and has recorded two other top-five finishes. “At home, I use a mower and wagon, it’s how I clean my cow pen. You learn how to back it up,” he said. Hess said the course can be challenging. Old Fort student Connor Fredritz, 11, who was competing for the second year, said he would come back and improve next year.